“Choose a job you love, and you will never have to work a day in your life.” Sounds simple enough, right? But this motivational quote has been proven true by ordinary people who managed to carve a niche in the online industry through their passion, such as photography, fashion, food, travel, and more. If you’ve ever dreamed of making your hobby such as blogging or producing online content more than just a pastime, SnippetMEdia’s got your back. In its SnippetX launch last August 10, SnippetMEdia’s founder and chairman Kitson Kho unveiled a surprise to the blogger attendees and other content creators: a whopping P25-million investment. SnippetMEdia understands that with the constant stream of digital content, the struggle is real when it comes to making your voice heard. But with the company’s newly launched exclusive platform for bloggers and content creators–SnippetX–spreading your word (without spending a dime) has never been easier. 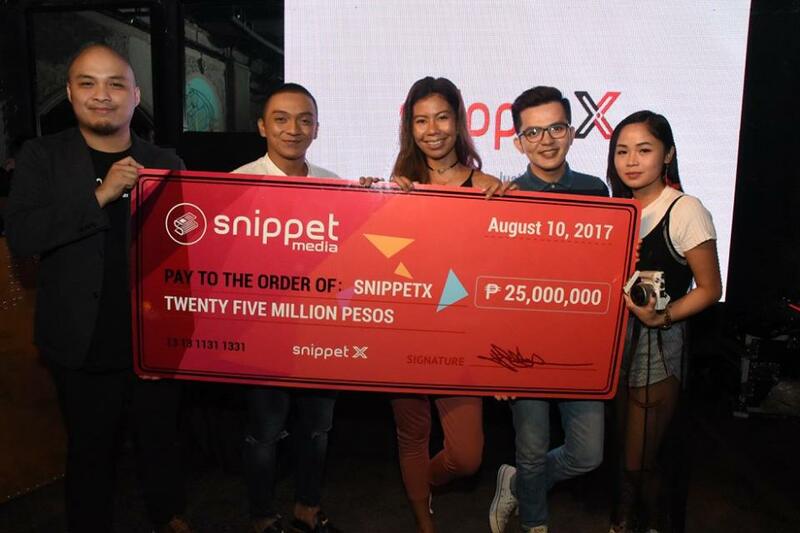 SnippetMEdia’s P25-million investment is solely intended to help boost the content of bloggers and content creators who will join SnippetX. All you need to do is churn out quality content—whether it’s vlogs, food reviews, fashion write-ups, travel guides, photography portfolios, etc.—and SnippetMEdia will help you do the rest of the legwork for you. While your content gets additional exposure on SnippetX, SnippetMEdia will also help you widen your reach through online promotion of your content, mainly on the company’s social media pages such as Facebook. In short: you simply do you (by which we mean you produce the content you want), and we’ll help you climb that ladder of success via a solid marketing strategy.